Visits to restaurants have fallen now for two straight years, although the decline lessened in the spring quarter, according to a report released Thursday by market research firm The NPD Group. 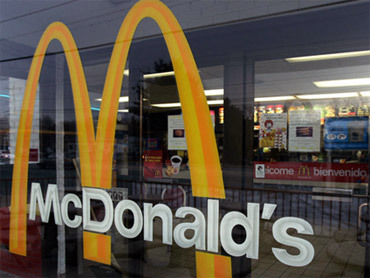 Traffic picked up for morning meals a major focus for fast-food chains Burger King and McDonald's but overall restaurant visits fell by 1 percent in the three-month period ending in June, the firm said. That was better than the 3 percent drop last year compared with 2008's second quarter. Although traffic was down, spending rose 1 percent. People have been limiting their trips out to eat to save money in the weak economy, which has hurt restaurants at all levels, from high-end to fast-food. The largest drop was in traffic at schools, universities, hospitals and other places that sell food but are not considered commercial restaurants; traffic there fell 6 percent. Both fine dining and mid-scale chain traffic fell 3 percent in the spring quarter compared with last year's second quarter. In last year's second quarter, fine dining fell 6 percent, and mid-scale dining fell 4 percent. Casual-dining, which is in between mid- and upscale and saw a 2 percent drop in traffic, compared with a 3 percent drop in last year's second quarter. Traffic was unchanged at fast-food chains from the prior year, when it fell 2 percent. Dinner traffic and lunch traffic both fell 2 percent. NPD restaurant analyst Bonnie Riggs noted that restaurants are improving their performance with value menus such as $1 menus at fast-food chains. The firm expects traffic to stabilize in the third quarter and start to recover in the final three months of the year.